Elizabeth Bay Modern Self Contained Studio Apartment (EB16BAY) is located in the Rushcutters Bay district of Sydney, 1.7 miles from Art Gallery of New South Wales and 2 miles from Allianz Stadium. 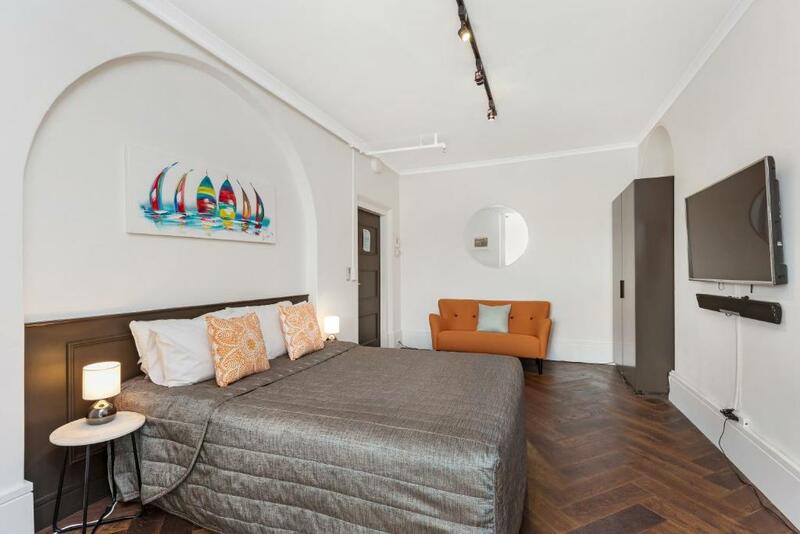 This property is 2.2 miles from Hyde Park Barracks Museum. The apartment features 1 bedroom and a fully equipped kitchen with a dishwasher and an oven. A flat-screen TV is provided. The Royal Botanic Gardens is 2.3 miles from the apartment. 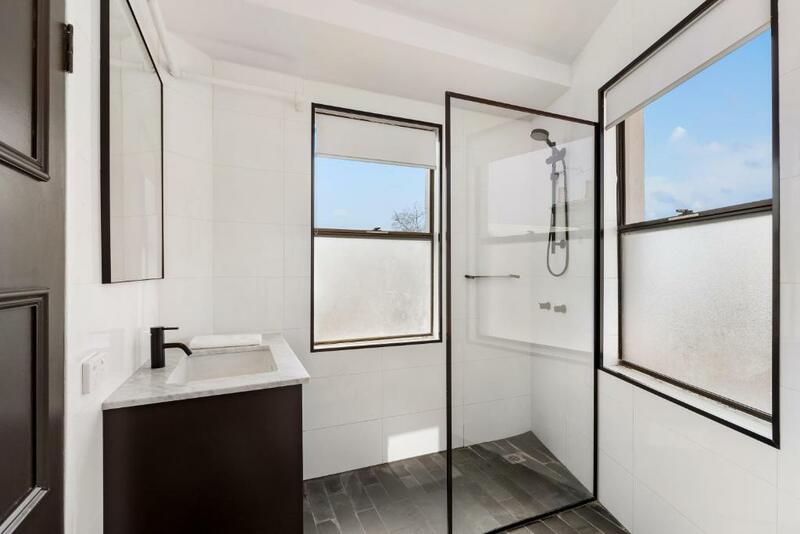 The nearest airport is Kingsford Smith Airport, 6 miles from Elizabeth Bay Modern Self Contained Studio Apartment (EB16BAY). 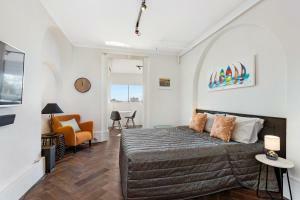 When would you like to stay at Elizabeth Bay Modern Self Contained Studio Apartment (EB16BAY)? This well-appointed studio apartment comes fully furnished with modern furniture, fixtures and fittings and is supplied with towels and linen. It contains everything you will need for both a short-term or long-term stay. 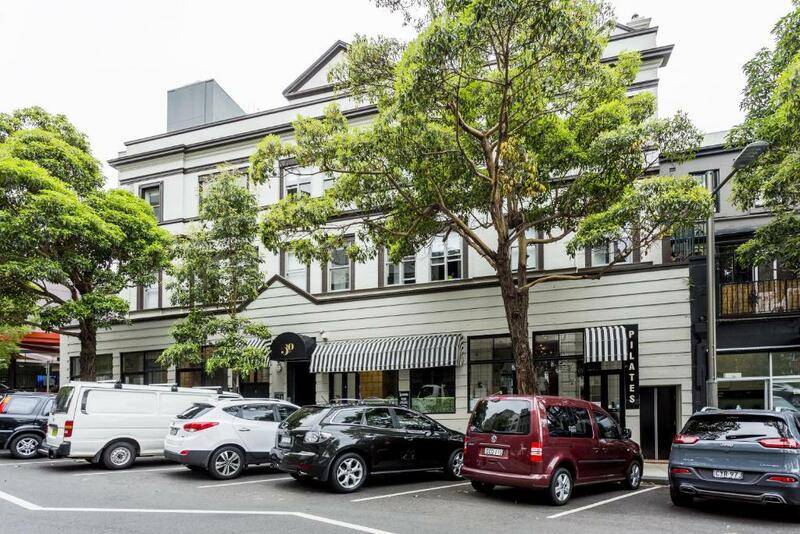 House Rules Elizabeth Bay Modern Self Contained Studio Apartment (EB16BAY) takes special requests – add in the next step! 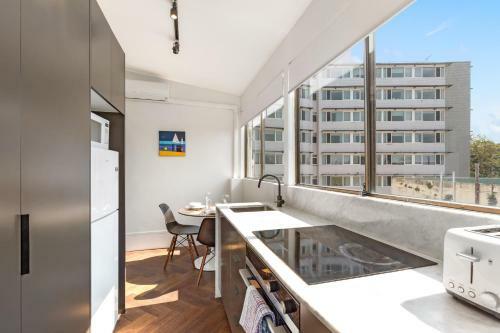 Elizabeth Bay Modern Self Contained Studio Apartment (EB16BAY) accepts these cards and reserves the right to temporarily hold an amount prior to arrival. 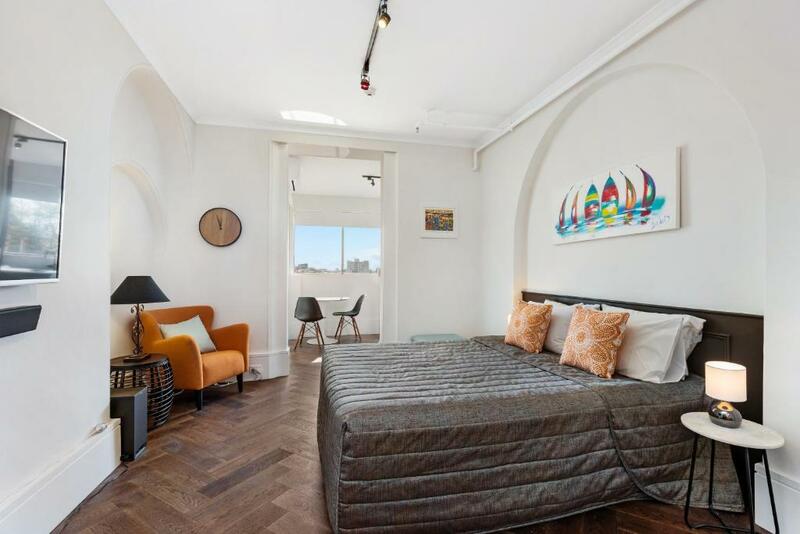 Please inform Elizabeth Bay Modern Self Contained Studio Apartment (EB16BAY) of your expected arrival time in advance. You can use the Special Requests box when booking, or contact the property directly using the contact details in your confirmation. There was nothing I disliked about the flat, but just a warning: it is on the second floor without a lift. If stairs are an issue for you, be warned. 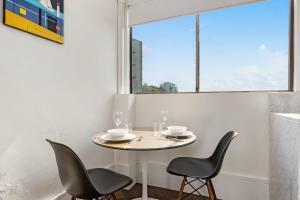 We booked a Sydney apartment "Designer Apartment with free car space" on 18th August 2018 with booking.com. We were notified by the owners in November that our booking had been cancelled as they had withdrawn their apartment. We were very impressed with the support given to us over this matter by booking.com. After rejecting a couple of replacement apartments that we were offered by booking.com an apartment which is managed by another company. 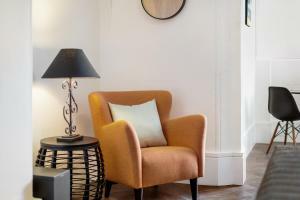 We were thrilled that booking.com went to such lengths to find us an acceptable replacement as the one they found was in the same building and of a very similar cost. We booked and pre-paid for a stay of thirteen nights. 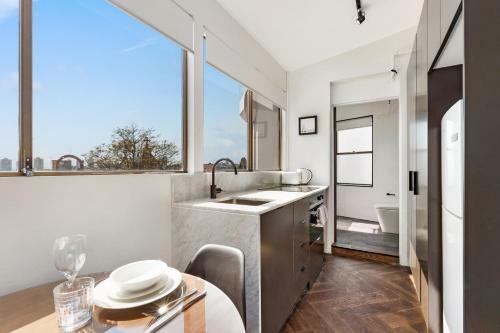 However, the poor level of service proffered by the managers of the replacement apartment meant that we needed to find alternative accommodation on two occasions. One of these occasions was due to the fact that the locked box for the key was not located in the same part of Sydney as our apartment, and, despite the company being notified that we were landing at Sydney airport at 10:30pm on December 23rd, the location of the locked box was non-negotiable. We had not known of the location of the key when we accepted the apartment. On the second occasion, we found ourselves locked out of the apartment from 7:09am on New Years Day until the following day. This would not have occurred had we been provided with two sets of keys. We were unable to speak to the manager on New Years day despite trying to contact via the land-line and mobile numbers provided. The knock-on effect of this meant that we spent an hour and a half at a nearby medical center whilst we accessed vital replacement medication, which had been prescribed and purchased the previous day. All in all a most disappointing and costly stay. The apartment and the location were fantastic. No lift. Lots of stairs. Hard to find rubbish bins. A key lock at the premises would save a trip into the city. good location. Close to coles and restaurants. Easy walk to train. Nearby parks.